Rightfully assuming that a huge number of people are still sad their Hogwarts letters never arrived, Warner Bros. has announced that the second installment of Fantastic Beasts And Where To Find Them, J.K. Rowling’s prequel trilogy, will be released on November 16, 2018, Variety reports. The movie—presumably called 2 Fantastic 2 Beasts—is being written by Rowling herself and directed by David Yates. Yates, in addition to helming the upcoming film starring Eddie Redmayne, was also on board for the last four Harry Potter movies. 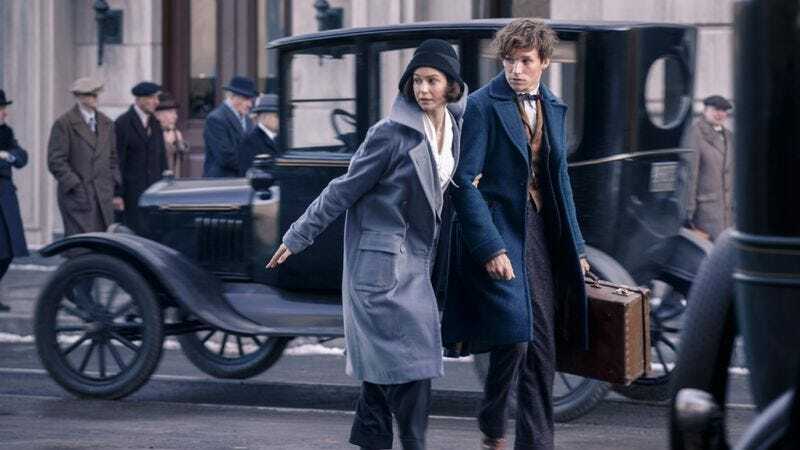 The first Fantastic Beasts, due out this fall, is set to introduce audiences to hero Newt Scamander (Redmayne) and the magical universe of 1920s New York. According to a statement from Warner Bros., the following movie “moves deeper into an increasingly dark time for the wizarding world, where Newt and our other heroes have to decide on their allegiances.” How appropriately vague! This news comes in a period of Potter-related frenzy. The script for Harry Potter And The Cursed Child—the London play that checks in on the adult versions of Harry, Ron, and Hermione and their children—was released Sunday. Scholastic revealed that the text sold over 2 million copies in North America in the first two days of availability. Rowling declared that after The Cursed Child “Harry is done now,” apparently content—at least for now—to stick to the wizarding world of the past.